With summer come big blockbuster movies–and blockbuster commercials! If you’ve been watching any television this summer, especially any televised motorsports events, you’ve probably seen the 60-second commercial for Shell V-Power Nitro+. You probably also agree with us that it’s potentially the coolest thing running in between our favorite television shows. 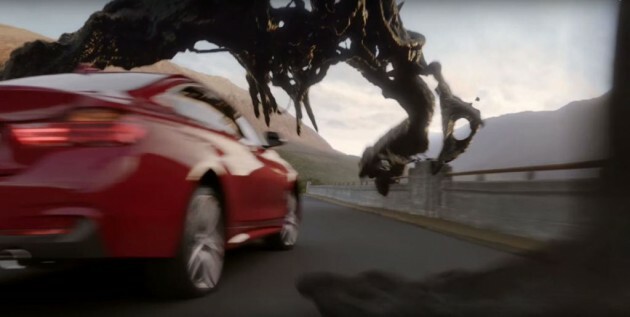 Check out the video below which features a giant mechanical monster giving a red car a run for its money. In the Shell V-Power Nitro+ spot, a passing red car wakens a heap of rusty scraps lying on a dead pickup truck along a mountain road. The shape-shifting heap takes on arms and legs to give pursuit to the scarlet coupe. After a treacherous chase across a windy mountain pass—filled with narrow misses and sharp turns—the vehicle reaches a Shell gas station. As the gargantuan monster explodes into a cloud of debris, the words “Designed to defend against gunk and corrosion” appear. 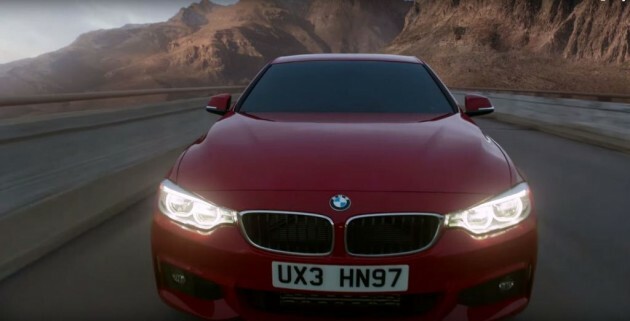 After you’ve watched the thrilling video, you’re probably wondering what the red car is—a BMW BMW 435i with M Performance. BMW’s presence in the commercial comes as part of the extended partnership between the automaker and Shell as BMW’s exclusive engine oil supplier. The deal, which was extended back in November, gives Shell oil BMW’s endorsement for its M performance line/packages and exclusive use in dealerships. BMW gets the perk of being featured prominently in Shell’s marketing campaigns like this one. Get a good look at that ruby BMW! This expertly-crafted commercial from writer/director Carl Erik Rinsch (47 Ronin) depicts a memorable sequence rather than relying on words to tell the story. 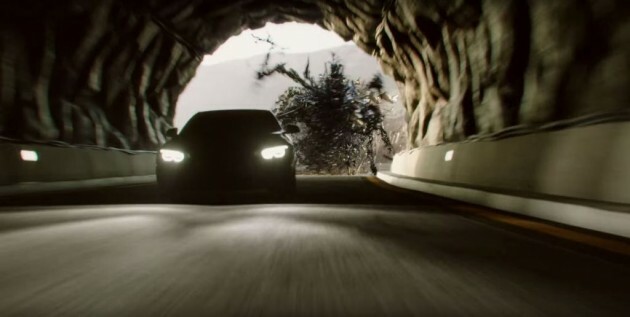 Despite looking like something from a Michael Bay film, the giant gunk monster is captured in a variety of well-framed, steady shots that show off its detailed design–while also showing the car’s maneuvering ability. There’s no thundering soundtrack of strings and choirs here. It’s all composed of the sound effects of the car’s engine and the scraping metal/beast-like groans of the gunk monster –which make a great contrast between a healthy and damaged engine. Seriously, watch it again with your eyes closed. The ad was created by famed agency J Walter Thompson and has been playing in cinemas and television sets worldwide.